Description It's Xmas soon, and you are late! 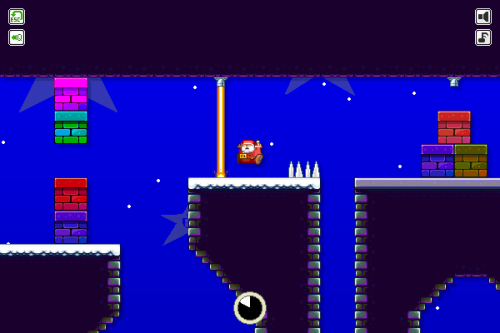 Get the fat Santa through 8 challenging platform puzzle levels and to the toy factory before the time runs out! Use arrows or AWD to jump and run.